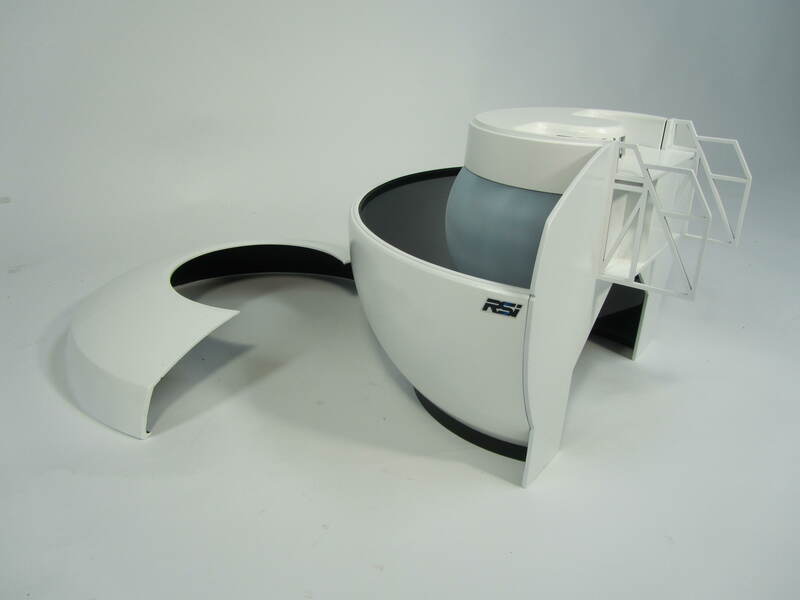 This aircraft simulator model was built for sales use. The real product is 35 feet long and far too big to transport to trade shows. The simulator is placed over top the outside of a passenger jet airplane nose. 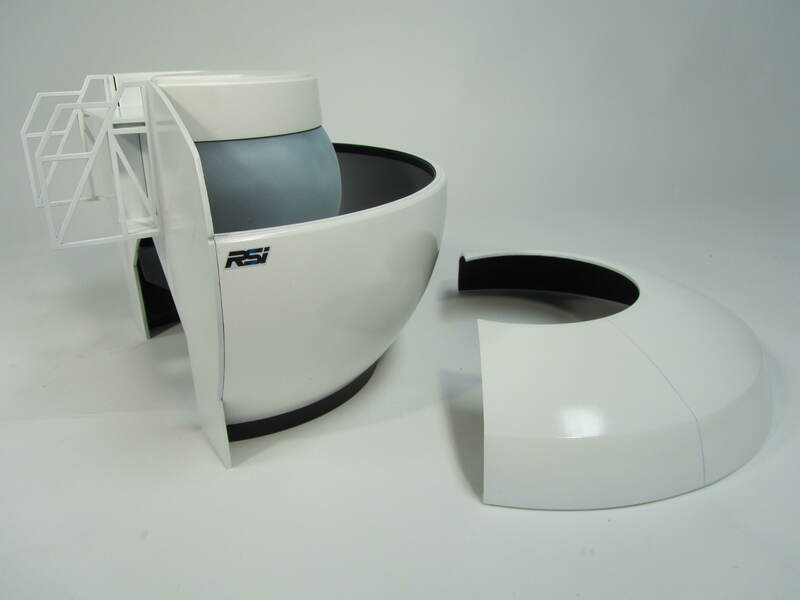 This innovative product provides an immersive experience to the pilot training in the cockpit without ever leaving the ground. Images are projected on to a curved screen mimicking the pilots movements inside the cockpit. This amazing pilot training tool needed an equally amazing model to represent it. Our model makers milled individual sections of the aircraft simulator model and glued them together. This is an effective way of fabricating a large curved design. 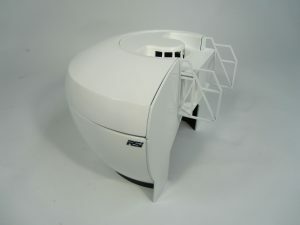 The top of the simulator model was 3D printed. The finished aircraft simulator model is a modular, portable and effective sales tool for our client. This project was posted in Airplane Models, Trade Show Models and tagged aircraft simulator model, simulator model. 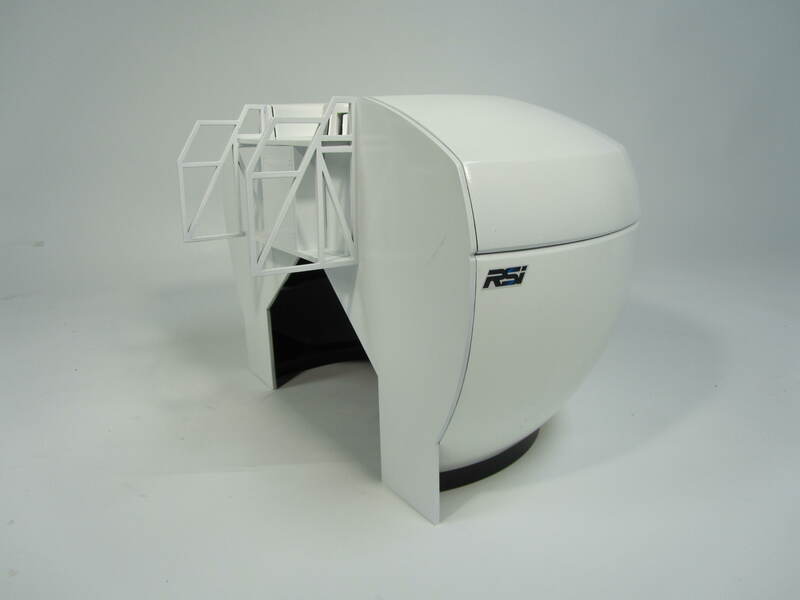 Bookmark this project: Aircraft Simulator Model. 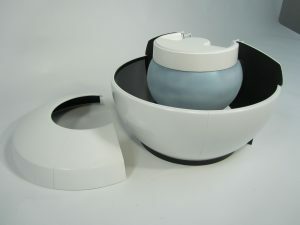 I have attached a picture of the final models we set up in the Presentation room. They were very useful during the Site Visit and looked great! Copyright © 2012 by KiwiMill, LLC, All rights reserved.